Kraus and Kraus @ Work carpet tiles have some new styles that are great looking and give the buyer a selection of quality carpet tiles to choose from. Kraus Carpet tile is a very versatile type of carpet flooring and can meet the needs of many budgets, decor, and installation considerations. Kraus Carpet tiles are possibly the most versatile flooring solutions ever. Offering a myriad of styles, types, and textures it can be used for every home or office. 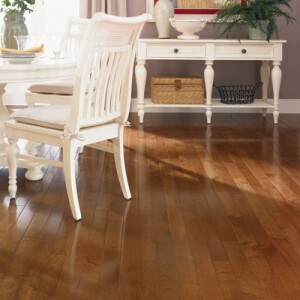 From homes with kids and pets, the home office, the corporate center, or favorite restaurants you can find a carpet flooring type to meet the need. 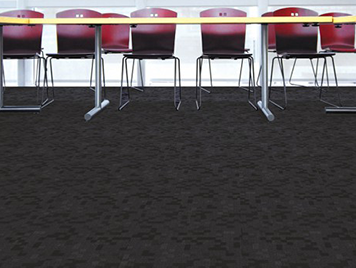 The Kraus Symmetry carpet tile is part of the EuroBac Modular Tile line. Kraus carpet symmetry tile comes with a Stain Proof – No Excuses warranty and Kraus stands behind its claim that spills can be easily removed and that the carpet tile will always remain beautiful. Kraus carpet also provides a 10 year warranty on commercial wear and backing performance for the Symmetry carpet tile. This would make a great product for a new office or as an update to an existing commercial site. 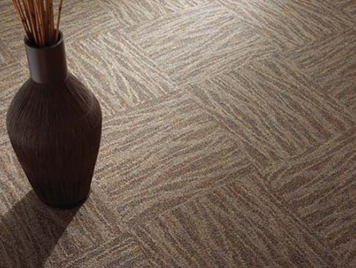 For buyers looking for a great looking, but more value conscious, a great choice would be the Kraus Pursuit carpet tile. The Pursuit carpet tile is part of Kraus’s EuroTile collection, and is its most affordable modular carpet tile collection. Pursuit has a 10 year warranty for commercial wear and backing performance. Kraus Carpet tiles are possibly the most versatile flooring solutions ever. 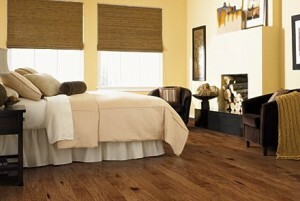 For those looking for the best in quality the Kraus Wisdom carpet tile is the best choice. Chalkline is part of the Dimensions Tile collection from Kraus and offers the best in warranties, environmental friendliness, and design flexibility. Wisdom carpet tile has LEED certified Green Label Plus status and contains a minimum of 40% post consumer recycled product in the backing. The carpet tile also weighs 40% less than comparable other tiles but is engineered to have top performance in commercial installations. Wisdom carpet tile is designed to be modular so you have a very flexible design to work with that can result in unique, original patterns. All of this, along with a LIFETIME warranties on commercial wear, backing performance, Stain Proof – No Exceptions, anti-shock, and Zipperlock no edge ravel and no delamination make this a top selection for high end projects or for those that know that over time the value of this carpet tile can’t be beat. 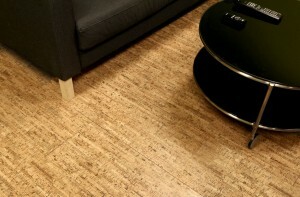 To see more of these products be sure to call us at 800-548-2706 or visit the carpet tile section. 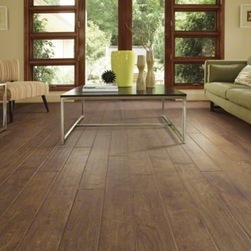 The hard choice about these durable and beautiful plank floors is which style is best for your home.